GIF Construction Set Professional the ability to create animated GIF files from a predefined set of tools. It is developed by Alchemy Mindworks. Custom creations: the creation of banners and animated transitions is one of GIF Construction Set Professional's options. To improve the rendering quality, it is possible to add transparency effects to animations. 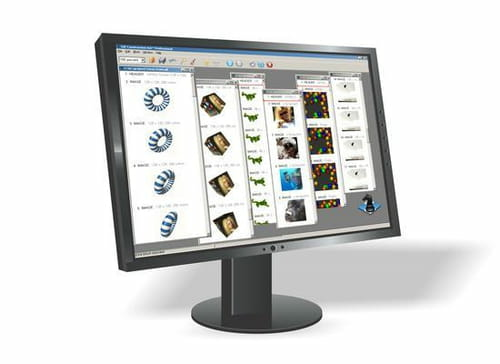 Customization: before validation, the user is given the ability to rotate, crop, resize, merge and adjust color for each sequence. A preview window integrated to GIF Construction Set Professional enables to follow and edit all changes in real time. Exporting: created GIF animations can be exported to SWF. In this format, it is possible to add a sound to each animation. Music files on the system are used for this purpose. Library: GIF Construction Set Professional provides its user a rich database of different elements for creating animations. GIF Construction Set Professional is included with a texts and banners generator. Version valid for only a few days. Latest update on November 21, 2016 at 05:40 PM.